By it's very nature RGCD showcases games that are all in some way harking back to an earlier time of video-gaming, but Driar (by Stefan Adolfsson and David Eriksson) manages to distil old-school platform games into a NES package that makes absolutely no concessions to the modern era whatsoever. No score, no save points, no passwords, no timers, no plot, no hub-world, just a series of single screen levels for you to carefully complete, in order, from 1-38 or until your 10 lives are used up. You move the Driar the dinosaur through the levels, completing them when you collect all the stars. 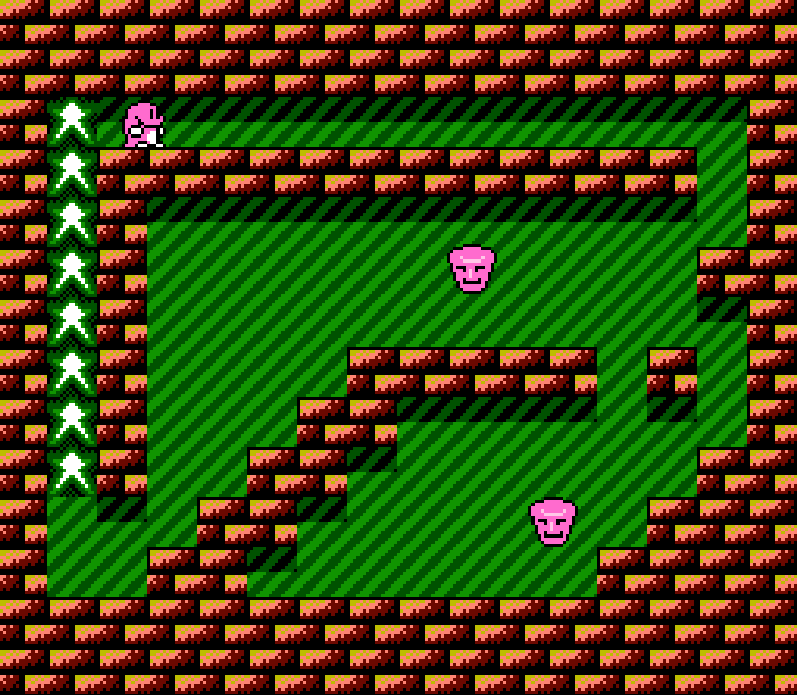 You avoid the stationary obstacles and enemies that move in a fixed path aided only by your jump and sprint buttons. The one thing of note (and not apparent from the screenshots) is that the levels wrap around left-right and sometimes you'll need to utilise this - the most difficult occurrences being when you have to judge a jump from one side of the screen to the other. Your dinosaur controls well, and your lives will be lost through impatience and user mistakes rather than any control or gameplay issues. Dying immediately restarts the level, although the previously collected stars remain collected which lessens the frustration somewhat – which is a good thing, because this is not an easy game. Driar is by no means 'Super Meat Boy' hard, but some of the jumps are tricky to pull off and time correctly. And therein lies the appeal (or problem) with the game – if you like this kind of single-screen pedantic jumping platformer, then this is a solid example. 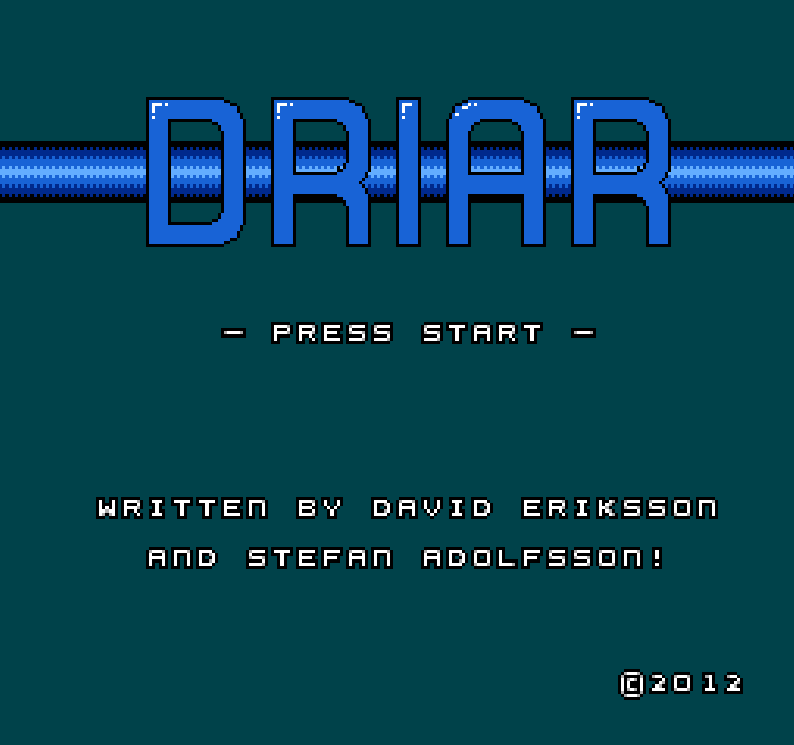 Driar really is a game for those who feel that Manic Miner is the pinnacle of retro gaming. The graphics are pretty enough, the game zips along smoothly, and the music is very nice throughout - but there is just not a great deal to the game. 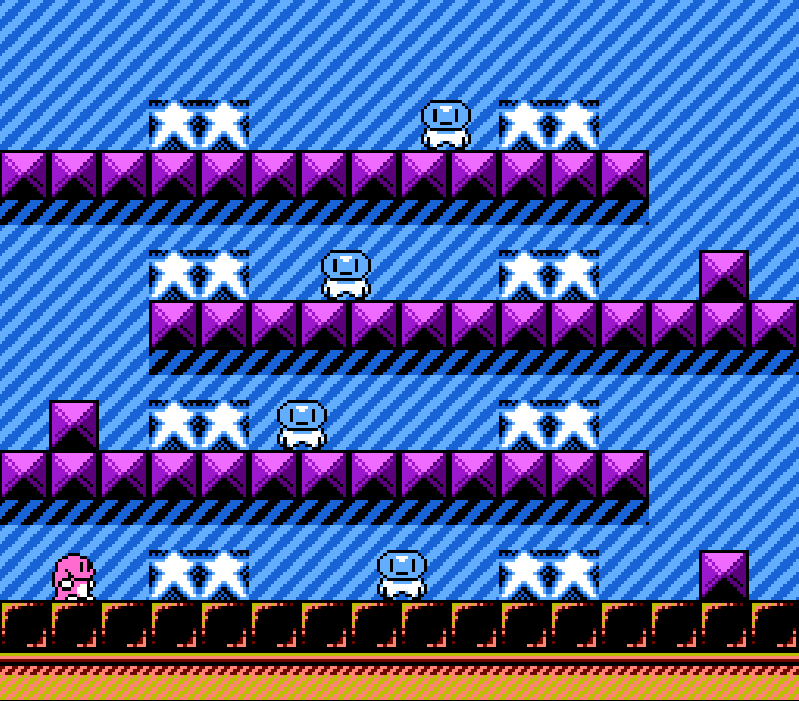 It's also worth mentioning that a minor quibble that Driar shares with the aforementioned Manic Miner is the difficulty of the stages is not very progressive; for example, Stage 2 is a tough one to crack that should have perhaps been sequenced later in the level planning. In all, it is a perfectly acceptable distraction, but little more, and the addictiveness and one-more-go factor is linked firmly to the doggedness of the player rather than the quality of the game itself. Download the game here (from the official website). 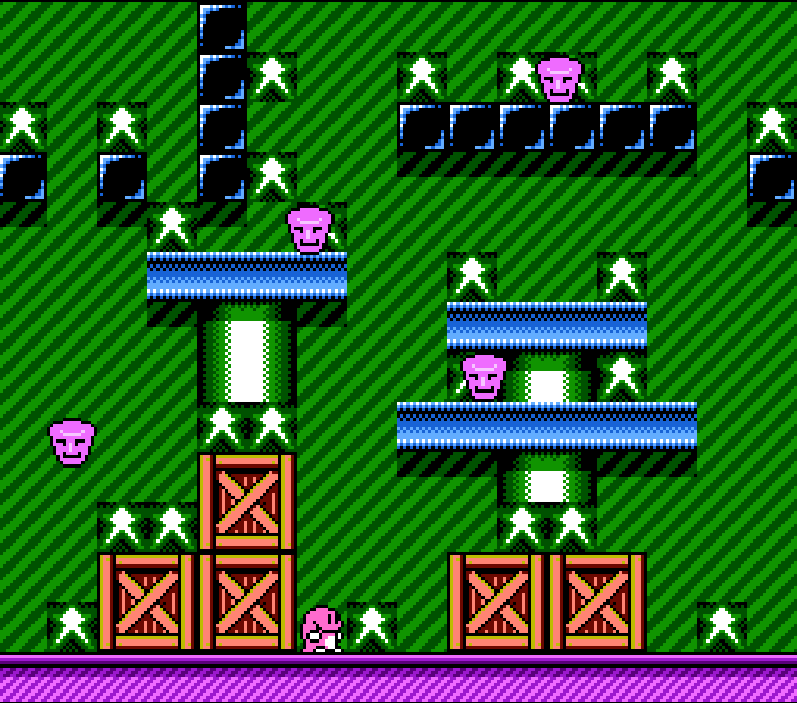 Run it using Nestopia (freeware). When I first saw Andy's 50% score for Driar I was more than a little surprised because I had actually enjoyed it enough to recommend it to him in the first place! However, after reading his thoughts I cannot deny that he's raised some valid points. Without a scoring system, Driar feels more like a technical demo than a proper full game. In fact, although it's fun and well-presented, when compared to the quality of recent homebrew releases such as 'Zooming Secretary', 'Blade Buster' and 'Super Bat Puncher', Driar seems wholly unfinished - it's almost as though the developers got to the point where they had a fully working prototype and then decided to pull the plug. Despite all of this, I'm enough of a fan of this UWOL-style game to have a cartridge of it made for my Famicom collection (a privilege only awarded to the finest homebrew titles) and I would argue that if you're a 8-Bit Nintendo enthusiast then it's at least worth a quick play or two. Here's hoping for an improved 'Driar Deluxe' in the future! Colors in that game always scarifying me. Designer should read something about colors.